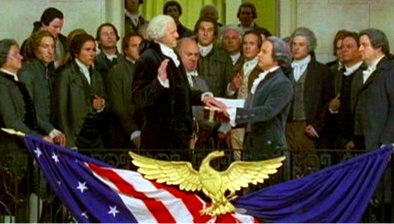 A much better George W.
Speaking of presidential inaugurations, it was only a few days ago that we were deeply moved by watching America’s latest one; and then last night we watched the very first one — that of George Washington, also very movingly staged, in the HBO miniseries John Adams. The kids have been clamoring to watch each new episode of this enriching and educational show, which we pause often for discussion. They love it! How lucky am I?